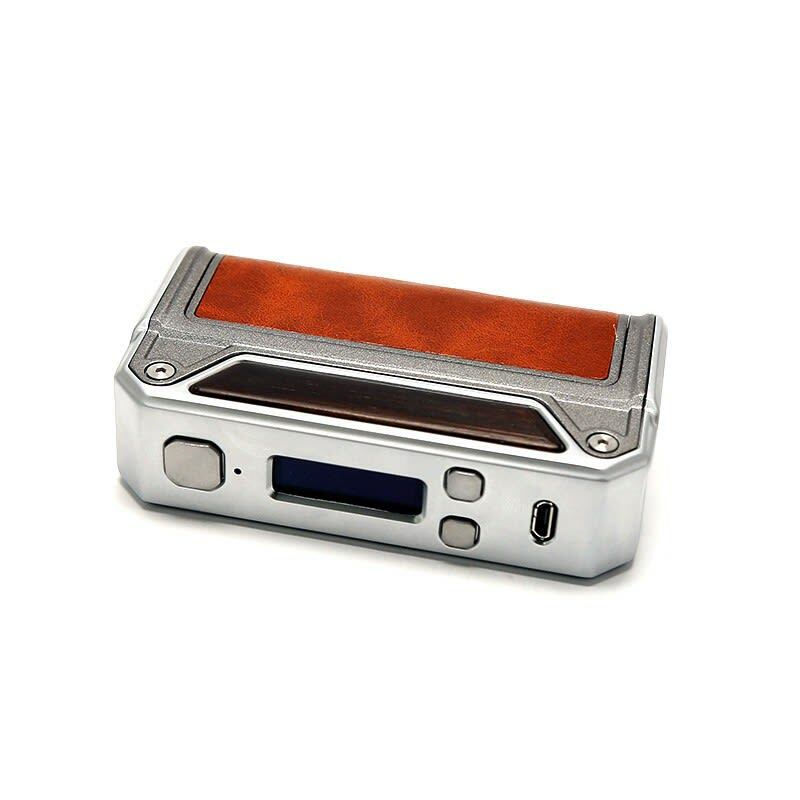 Sorry, Lost Vape Therion 133W Box Mod has been discontinued. The Therion DNA1330W Box Mod by Lost Vape is a vastly upgraded version of the Therion DNA75, now using Evolv’s outstanding DNA200 chip it features the same impressive and compact design with dual 18650 parallel batteries (not included) and offers a maximum output power of 133W (two thirds of the maximum powered offer by the chip, which requires 3 batteries to deliver 200W), sacrificing a bit of power for better design and ergonomy. The Therion DNA133 is powered by two 18650 batteries (not included), you can buy 18650 batteries here. The Therion DNA1330W Box Mod by Lost Vape is a vastly upgraded version of the Therion DNA75, now using Evolv’s outstanding DNA200 chip it features the same impressive and compact design with dual 18650 parallel batteries (not included) and offers a maximum output power of 133W (two thirds of the maximum powered offer by the chip, which requires 3 batteries to deliver 200W), sacrificing a bit of power for better design and ergonomy. Just like the previous version, Lost Vape as always combines a unique ergonomic design with a genuine leather wrapped battery cover and real wood accent for a modern finish and a touch of class. This device is definitely an eye candy that turns heads while sitting comfortably in your palm. The wood finishes work well with the clean cut lines. This box mod now utilizes the new powerful Evolv DNA200 which allows the mod to be powered in several preset modes, now including a wattage output of 133W, with Ni 200 nickel,Titanium and Stainless Steel modes, all offering smooth temperature regulation. This device is equipped with stainless steel springboard 510 connection that makes the mod perfect for a variety of tanks and RDAs. With style and performance in mind, the control panel is sleek with an LED indicator, a DNA menu with two adjustment buttons and the USB port for charging and upgrading firmware through ESCRIBE software. For longevity this mod is made from die cast zinc alloy.